Very cute and cozy 2 bedroom ranch home. Home offers stand up shower, large living room and eat n kitchen. 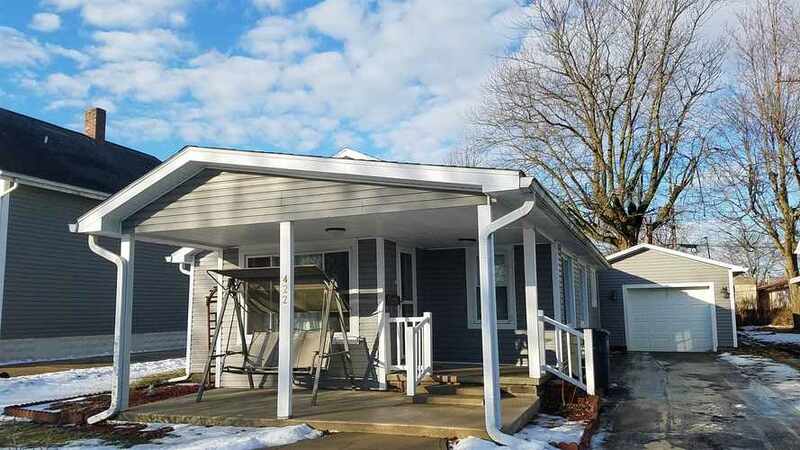 an over sized one car garage covered front porch and a wood deck along with privacy fence back yard, within the past 10 years, roof, siding, dishwasher, hot water heater, windows,HV AC, privacy fence and wood deck. Master bedroom has a huge walk n closet. the entry has a small area that could be used for a reading area. Total electric, water, sewage, trash, storm water equals $194 a month. Directions:From 31 east on 28 to Tipton to Kentucky left to home on the left. Listing provided courtesy of ANew Realty, LLC.